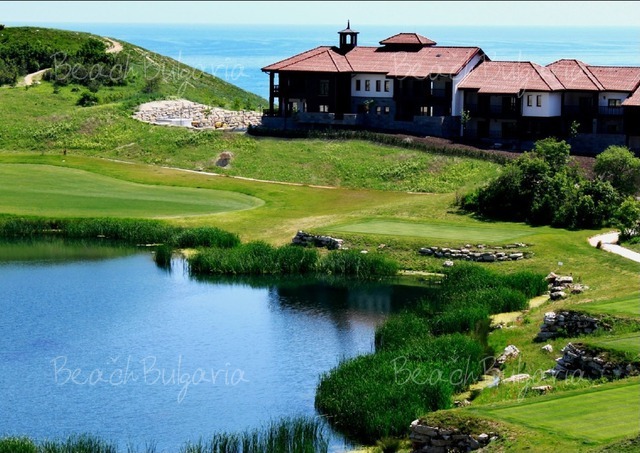 Thracian Cliffs Golf & Beach Resort features two quiet villages separated by a beautiful lake. Marina village is situated on the cliffs. 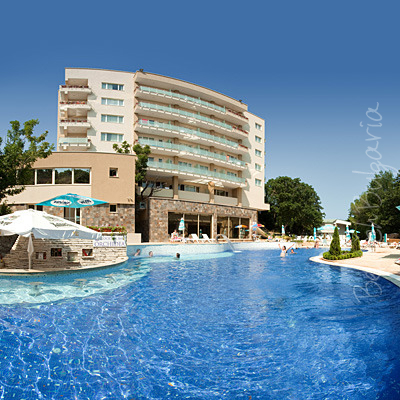 It features 64 deluxe, spacious one, two or three bedroom suites in a traditional Bulgarian style. The Hillside Village is nestled 350 m above the sea. It features 87 suites designed in a crescent shape around three infinity pools. 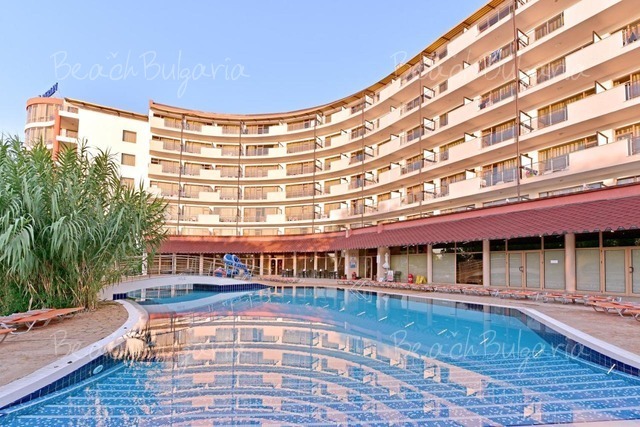 The suites feature a spacious living area, Wi-Fi internet, a fully equipped kitchenette and a spacious balcony with a panoramic view to the driving range, the lake and the Black Sea. 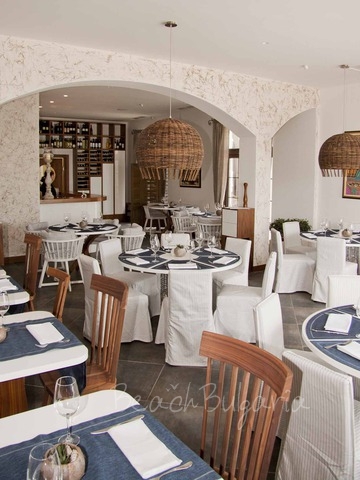 Geti restaurant serves classic Bulgarian and Provence food. 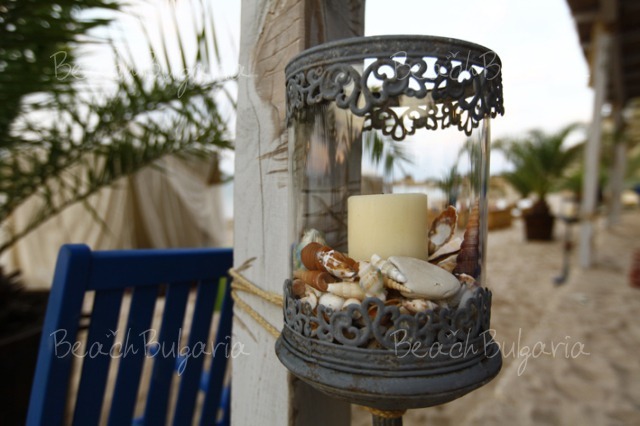 Bendida Beach Restaurant provides Mediterranean ambiance, combined with breathtaking scenery and tasty food. 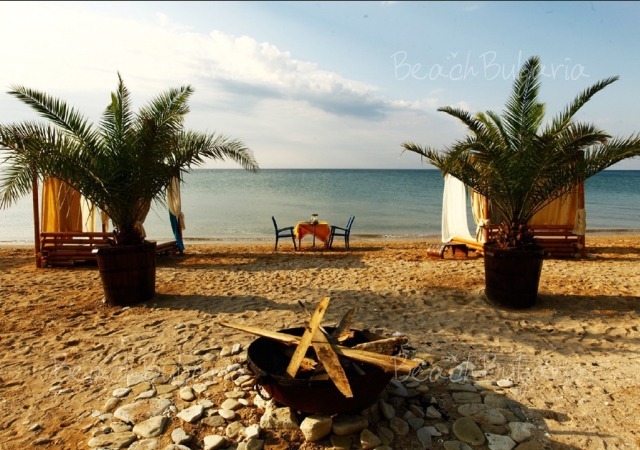 Argata Beach Restaurant located on the beach is designated to Thracian Cliffs home owners and hotel guests only. The Club house is a relaxed and informal bistro. 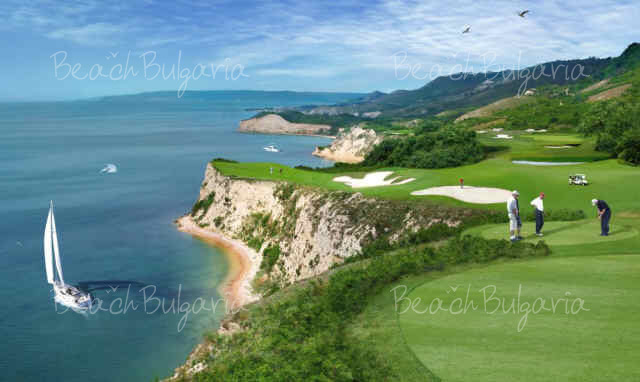 At Thracian Cliffs resort guests can experience much more than just world class golf. 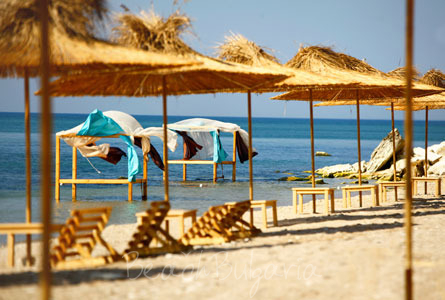 Bendida beach offers Water banana, Aqua Rocket, Water torpedo, Stand up paddle, Paddle boat, Snorkeling, Kayaking, Windsurfing, Water Skiing, Wakeboarding and Catamaran sailing. Guests can relax in daybeds or for extra privacy can take a stilted deck a few meters off shore. The Spa centre (460 sq.m.) offers tranquility areas, massage, facial and manicure treatment rooms, special rooms for wet treatments, hammam, hot steam room, ice corner, jacuzzi, cold shock showers, relaxing indoor area, private sun deck with lounges, fitness area. Guests may relax in the infinity pool and on the sun terrace overlooking the golf course and the sea below. Situated on coastal cliffs with panoramic sea view, the 18-hole Gary Player designed Signature course at Thracian Cliffs is one of the best golf courses in the world. The Pro Shop is located adjacent to the Club House with a wide range of golf clothing, equipment and golf balls. * The prices are in Euro per room per night and include breakfast, use of swimming pool, steam bath, jaccuzzi, hammam, internet and parking. * Cancellations can be made free of charge providing details of this are received at least 30 days prior to check-in time on the day of arrival - cancellations made after this period will incur a fee equivalent to 100 % of the cost of accommodation. * Min. stay - 2 nights. 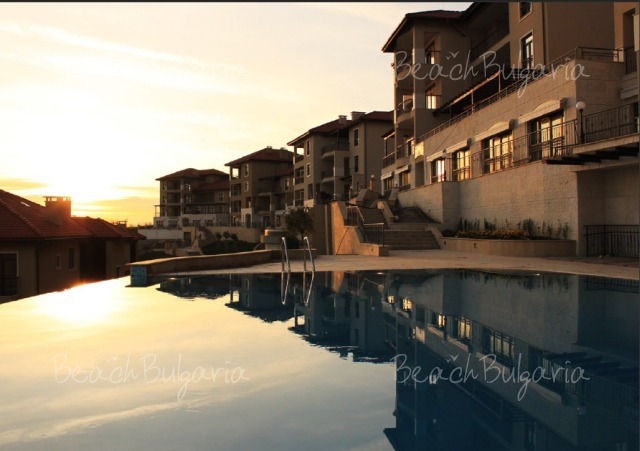 Please, post a comment on Thracian Cliffs Golf & Beach Resort.